Wonderful winter retreat or investment property! 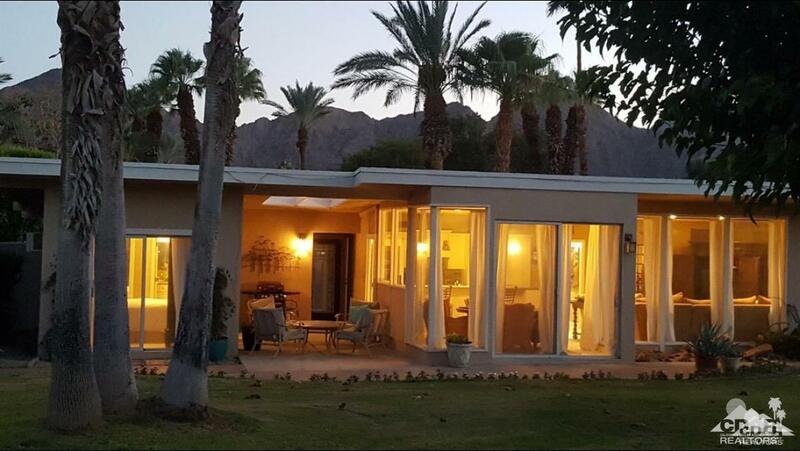 Located within walking distance to the Indian Wells Tennis Garden, this home is a must see. The main house has walls of glass overlooking the fabulous recreational area with pool, spa, volleyball court and expansive lawn area. Open living area with fireplace flows into the kitchen and dining area. Two bedrooms and one bath add to the house. Step outside to the private patio space to enjoy the weather. Separate one bedroom one bath casita is ideal space for guests or family members. Enjoy the benefits of being an Indian Wells Resident by discounted golf fees at the Indian Wells Gold Resort, 20% off at the Indian Wells Hotels Spas and Restaurants. Plus, workout for FREE at the Hyatt's gym. This property is available for SHORT TERM RENTALS too. Do not miss this wonderful opportunity to live in Indian Wells at this attractive price. Association Name Indian Wells Village Unit#2 Homeowners Assoc. Listing provided courtesy of Kathleen Olson of Bennion Deville Homes.